The 2016 Papertrey December Blog Hop Challenge inspiration photo is one of my favorites they posted this year. So many ideas come to mind, but sadly I only had today to work on a little something to share for the challenge. 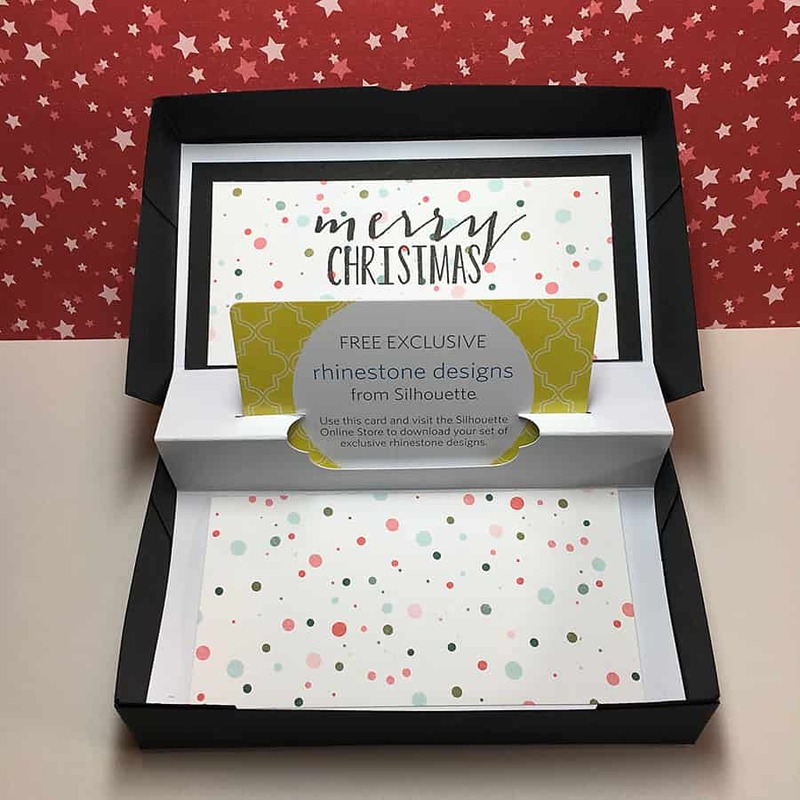 Luckily, I found a cute template for a gift card box on Pinterest, and I decided to combine it with the color scheme of today’s photo for my project. 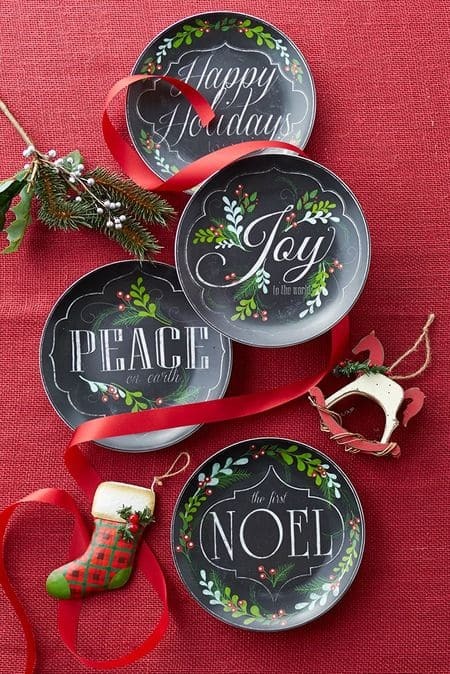 I love the chalkboard look, especially for Christmas décor. Right away, last year’s holiday collections from Papertrey came to mind. 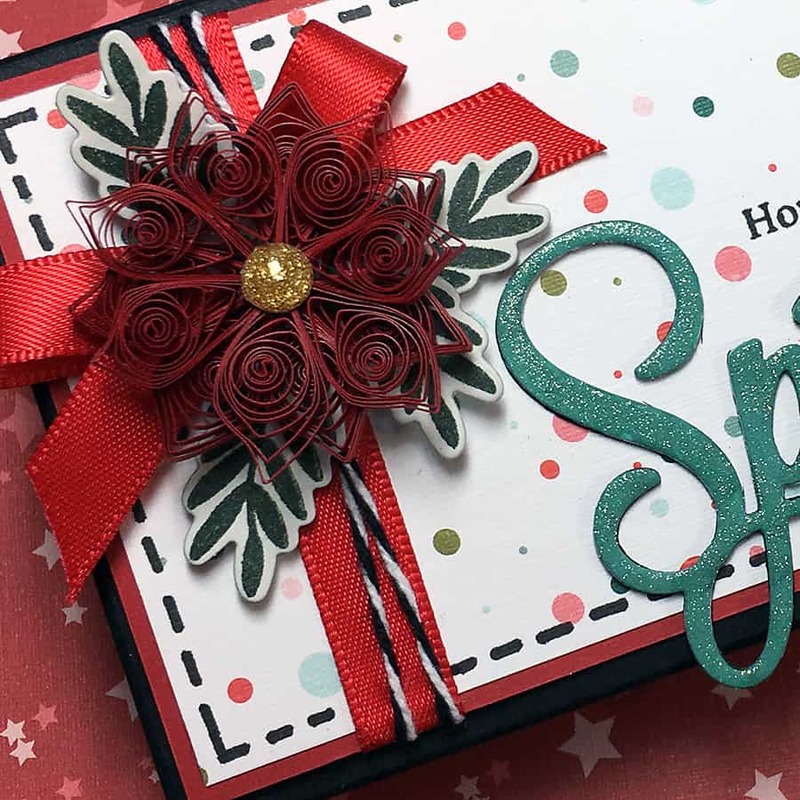 I pulled out my Tinsel & Tags box and picked out the Sprigs stamp set since I needed a few leaves around my quilled poinsettia. The background patterned paper is also from this kit. My sentiment is the from the Sparkle and Shine collection. I die cut the word three times and stacked it to make a chipboard-like embellishment (as a side note, I die cut the two lower layers in black and then the top layer of white so that I could color it with a Wink of Stella brush pen). Then, I used a coordinating stamp set to complete my sentiment and finished off my box with a bit of ribbon, bakers twine, and my quilled poinsettia and leaves. If you don’t have the Twigs mini stamp set from last year, there are a few others on Papertrey’s site that will do just fine. You can decorate the inside of this box just like you would a card. The box instructions here, and you can dress it up any way you like – imagine what you could do for a birthday box! I made a couple of adjustments to the template, though: I added a little square tab behind where the gift card is to push it forward when the box is opened, and I used a circle punch to punch a half circle out of the lid to make opening easier. You can see the part of the lip where I punched at the top of the photo. There is even a bit of space inside to add a few candies and chocolate with your gift card. Thanks for stopping by to check out my entry for the Papertrey December Blog Hop Challenge. Hope you have a wonderful holiday! Thank you very much, Jacquie! I love everything about this! I’m a sucker for little gift boxes and you added so many lovely details to yours. Just wow! Beautiful work, lovely take on the inspiration! Niki, I absolutely love you box card! Oh my that poinsettia, never done a quill, but admire them so much! And the inside is amazing too! Beautiful, beautiful! LOVELY…your quilled bloom is GORGEOUS. Oh, wow, this is gorgeous! Fabulous take on the inspiration photo! 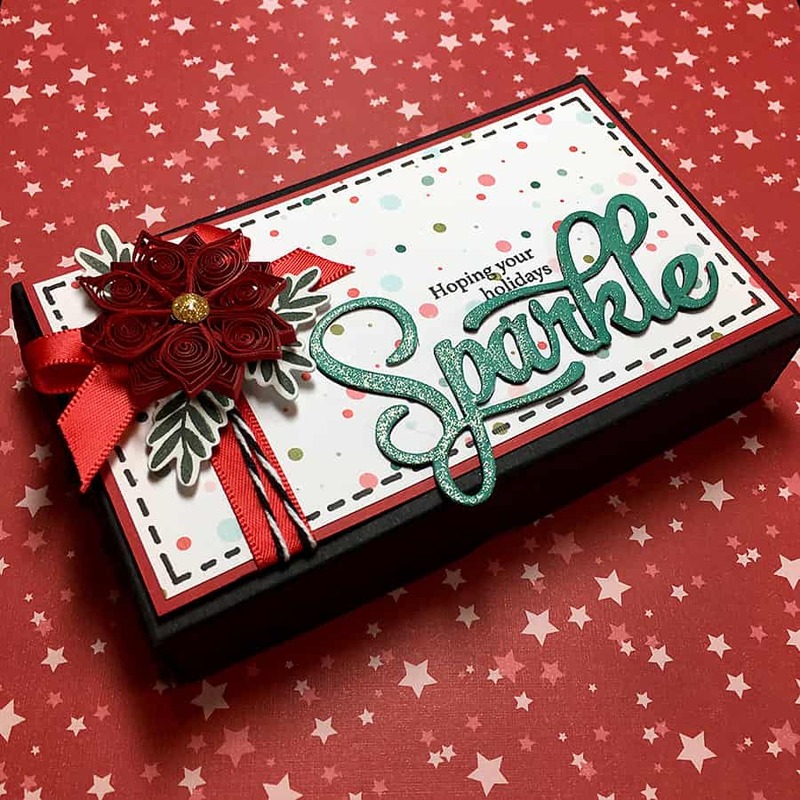 Wow what a gorgeous box, and that quilled poinsettia is stunning! You can tell you really took your time, every detail is beautiful!